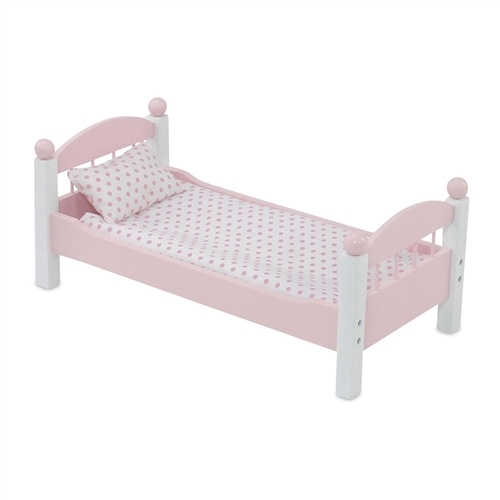 This beautiful pink and white painted wood single bed is a versatile addition to your 18-inch doll furniture collection. Part of our amazing Emily Rose "Stackable" collection, just remove the bed post knobs and stack another INS1074 single bed on top, or stack on top of a INS1075 trundle bed! 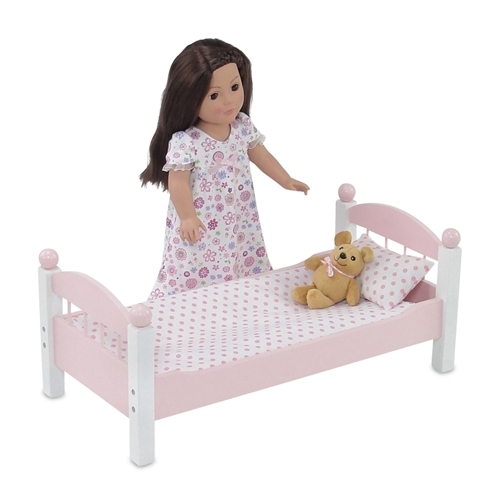 These beds are also compatible with INS1073 stackable triple bunk with trundle sets. 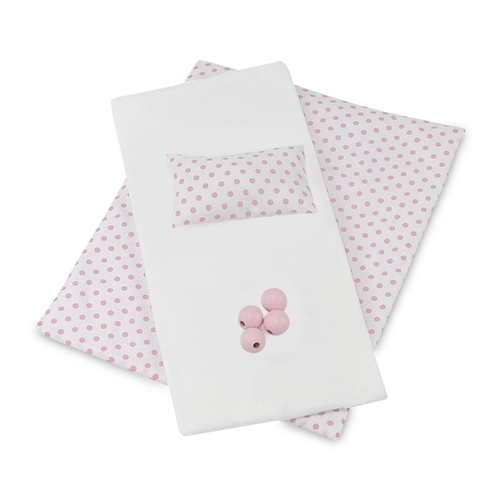 Bed comes with a thick comfy mattress, a pretty pink polka dot blanket and a fluffy matching pillow. 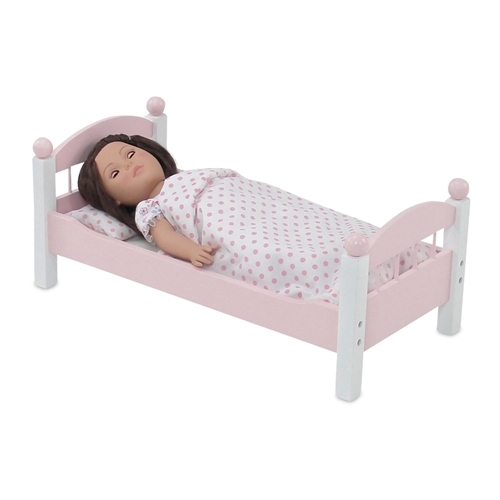 Lovely single bed is part of our exclusive Emily Rose Stackable design collection, perfectly sized for your special doll, with removable bed knobs to allow you to combine 2 to make a bunk, or even 3 to form a triple bunk! Doll and bear are not included.